If you love your morning coffee, especially if it comes from freshs bean to cup from the Coffee Vending Machine you have at work and you have beena little nervous about its effects on your brain health, well we have some good news. It turns out that coffee may just help lower your risk of having a stroke, especially if it's part of your regular diet. A new study, just published in Stroke: The Journal of the American Association, verifies and seems to show that the more coffee (or green tea) that people drink, the lower their risk of having a stroke. You have to be a pretty happy about having that coffee fix in the morning knowing it won't kill you and that in fact it's helping you live longer and reducing the chances of that stroke! This is especially good news because, aside from water, Coffee and Tea are the most popular beverages drunk around the world. People who drank at least one cup of coffee per day had a 20% lower risk of having a stroke. People who drank at least one cup of coffee per day had a 32% lower risk of having a intracerebral hemorrhage (this condition causes about 13% of strokes). People who drank 2 to 3 cups of green tea each day had a 14% lower risk of having a stroke. The study examined the coffee and green tea drinking habits of over 82,000 adults, between the ages of 45 to 74, and followed them for an average of 13 years. Dale Webb, D.Phil., says: "We really welcome this study, which suggests that the benefits of antioxidants in coffee and green tea offset the potential harm from use of caffeine. The results demonstrate higher consumption of green tea and coffee might reduce the risks for a stroke, especially for intracerebral hemorrhage." As in all things, moderation is recommended. If you already drink a cup of coffee each day, this study seems to show there's no reason to change that behavior. 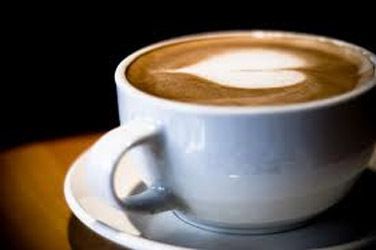 In fact, your morning coffee may be helping protect you from a stroke! Have some real enjoyment now safe with the knowlege that having a hot fresh coffee made from your Coffee Vending Machine is good for you. Oh and by the way if you want a FREE coffee vending machine click on the Register for A Coffee Vending Machine tab at the top of this webpage.